We are pleased to offer Rental Programs for up to 5 years, Flexible Capital Lease Programs up to 10 Years and Purchase Options. There are many variables that determine the price of any specific structure such as local wind loads, anchorage, snow loads, seismic loads, clearspan width, length and accessories. These variables create a large range in the potential cost of a structure. Any prices we provide without the answer to at least some of these variables would be highly misleading to our customers. For a formal quotation, Sprung has a national and worldwide salesforce, 10 offices and 3 factories all strategically located to ensure we provide an immediate accurate response to your inquiry. With 130 years of global innovation, we stand ready to assist you every step of the way. Many customers unfamiliar with Tensioned Membrane Structures ask the question, what am I giving up by using this type of solution vs. other types of buildings. 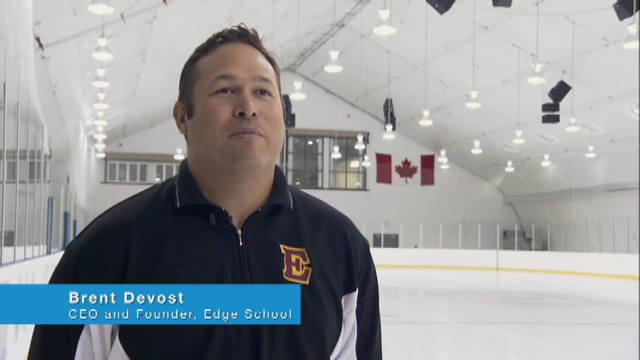 Edge School utilizes Sprung structures for two ice arenas and a gymnasium.